Montreal City Hall is an important historical and political building that is well known for its unique design. Built between the years of 1872 and 1878, this building reflects the Second Empire style, and it one of the best examples of this style in Canada. This building featured many stamped and pressed sheet metal ornaments that had slowly succumbed to the elements and were in need of replacement. 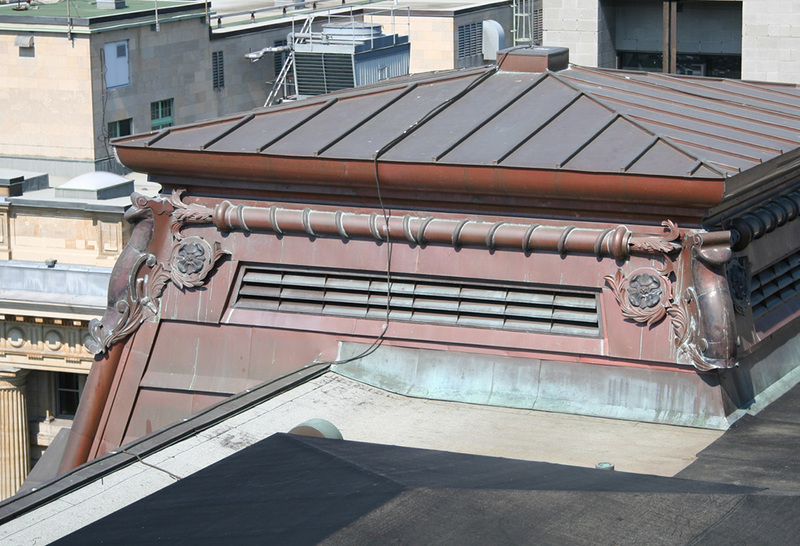 Joining forces with well-known Montreal roofing contractor Toitures Trois Étoiles Inc., Heather & Little was awarded this project to reproduce the numerous ornamental copper elements for the restoration of one of the most historically significant projects in the province of Quebec. When Heather & Little was awarded this project, we received the original samples of each old copper ornament to be used for reference of the original design patterns. 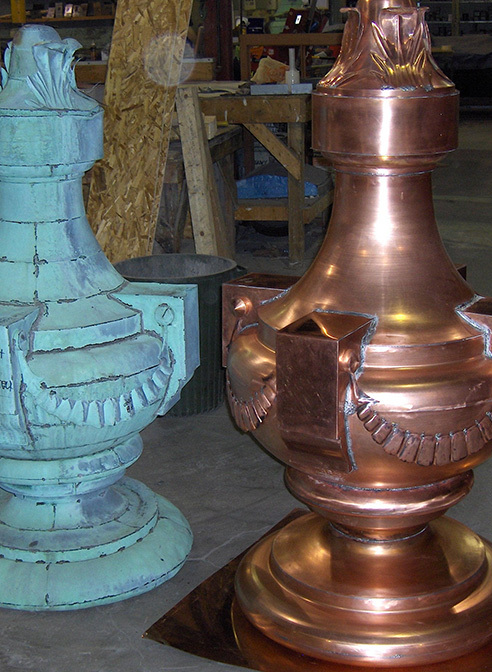 In order to replicate the decorative copper elements we had to create new stamping dies in order to accurately reproduce each ornament on the building, including garlands, cornice elements, shields and more. 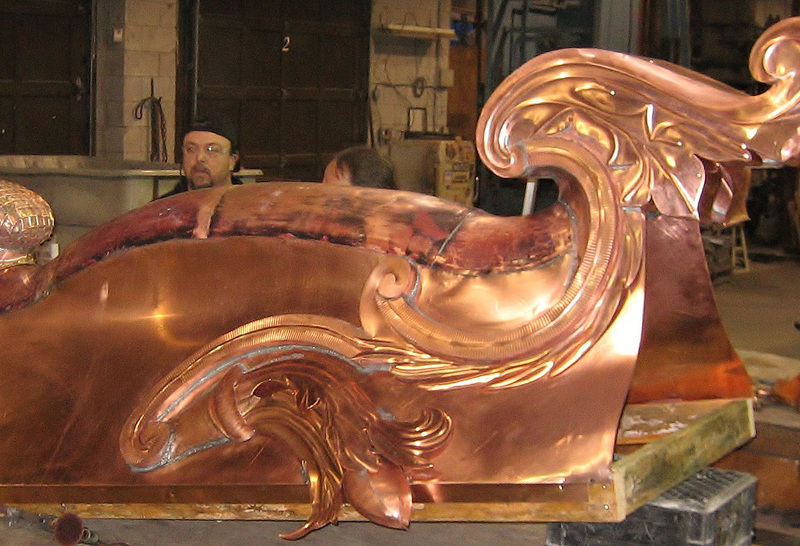 Both 20- and 24-ounce copper sheets were used for this task, depending on the requirements of each ornament. 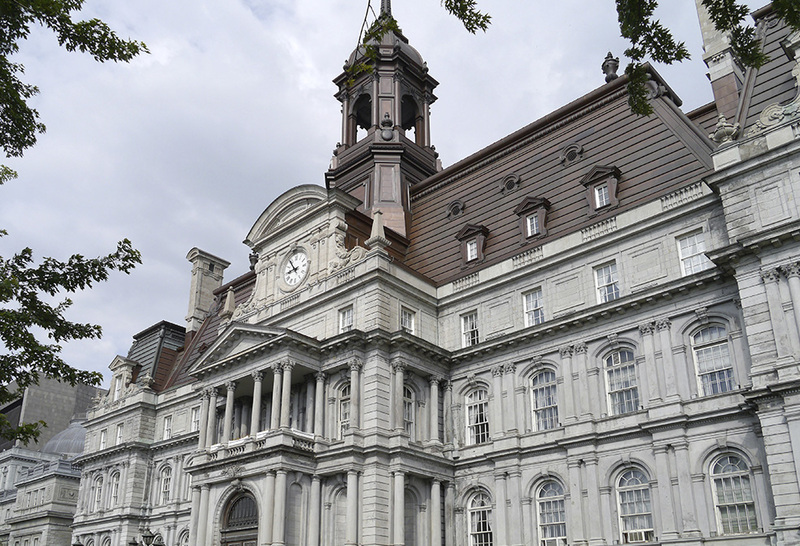 The project was completed with high attention to detail, and we were able to restore Montreal’s City Hall back to its original glory, on top of this success, the project was awarded a North American Copper in Architecture Awards (NACIA) for the restoration. Heather and Little also worked on the ornamental and decorative sheet metal reproduction. Learn more about the project and the processes involved, view our images below.